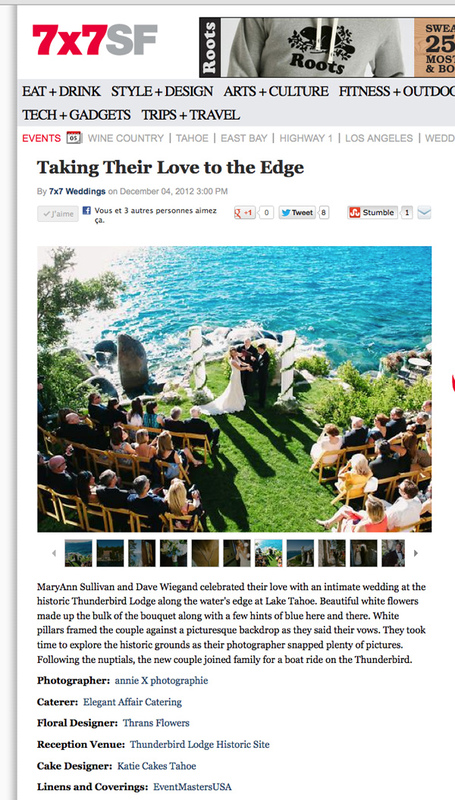 Wedding shot at Thunderbird lodge this summer featured on 7x7. Love this blog, always talks about fun stuff to do or taste around San Fran!! !